Life’s busy. Hungry for Truth has you covered with quick and easy Mason jar meals perfect for students, working moms and farmers taking a break in the field. Prep on Sundays to grab and go throughout the week or layer in leftovers as you go. Don’t be afraid to get creative with your favorite flavors. Here are three options for breakfast, lunch and dinner to help get you started. You may notice we couldn’t help but include a dash of dairy in all three recipes. Not only does it taste amazing, it’s also a homegrown part of a balanced diet. Did you know South Dakota is home to approximately 117,000 dairy cows that eat 31,000 tons of soybean meal each year? That’s right! Protein-rich soy delivers important nutrients that fuel healthy cows to produce the nutritious dairy foods we enjoy around the table and on the go. 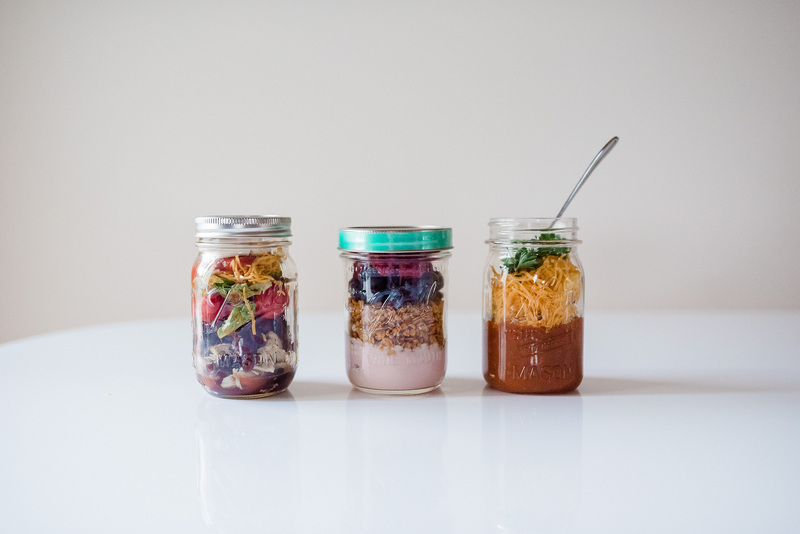 Make your Mason jar meals using the recipes below and watch the video for step-by-step instructions. Looking for other easy to prep meals? Try these Cuban Sliders! Layer ingredients into Mason jar.